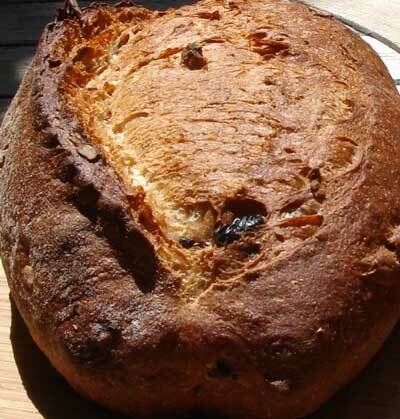 I use white whole wheat flour because I enjoy the contrast of the light-colored bread studded with the ruby-red fruit and rich brown pecans; however, regular (red) whole wheat flour would work well also. I coarsely chop the pecans because I prefer a rather even dispersal of the nut morsels through the dough, but you might prefer to leave them as entire halves for more dramatic bursts of nuttiness. 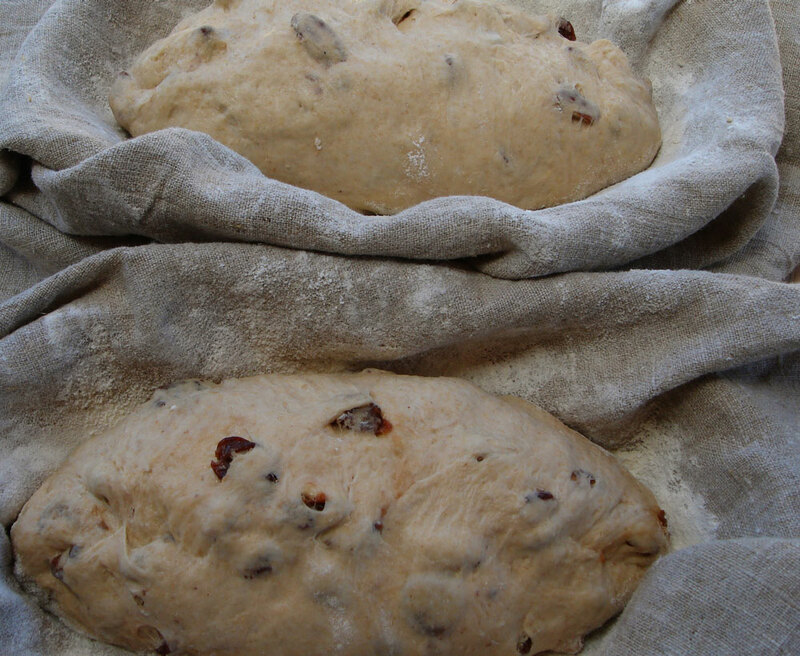 When adjusting the dough consistency during mixing, remember that the dried cherries will absorb a little of the dough’s moisture, so make it just a tad wetter than you usually would. I mix this entirely by hand, but you could do the initial mixing in a stand mixer; I do recommend incorporating the pecans and cherries by hand, though, to ensure that they stay as intact as possible. Also remember, if you use a mixer, to make the water cooler to compensate for the heat that will be generated by the mixing friction. Combine all of the sponge ingredients and knead just until all the flour is incorporated. Cover and let rest at room temperature for 12 – 16 hours. When the sponge is ready to use, it will be doubled in volume and the surface pebbled with bubbles. In a large skillet over medium-high heat, toast the pecans, stirring constantly, until they are browned and fragrant, about 3 minutes. Do not let them burn! 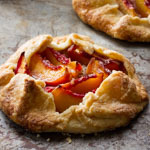 Set them aside with the cherries. Make sure the pecans are completely cool before adding them to the dough. Combine all of the final dough ingredients except the pecans and cherries in a medium bowl. Turn the dough out onto the counter and mix by hand until the dough reaches a low level of gluten development, about 10 minutes. It should be quite soft, and tacky but not sticky. Fold in the pecans and cherries and continue mixing by hand until they are evenly incorporated. Ferment at room temperature (72F – 76F) for 2 – 2.5 hours, with folds at 30 and 60 minutes. Do an additional fold at 90 minutes if the dough still seems quite slack. Turn the dough out onto a lightly floured counter. Divide it into two pieces, and preshape into light balls. Sprinkle the balls lightly with flour, cover loosely with plastic, and let rest for 20 minutes. Shape into batards. Pick off any pieces of cherry or pecan sticking out of the top surfaces of the loaves, as they burn easily (don’t worry, if you forget to do this it will still be great). 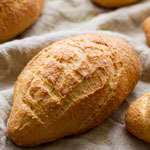 Place the loaves seam-side-up in a floured couche or linen-lined bannetons. Slip the couche or bannetons into a large plastic bag or cover with plastic wrap and proof at room temperature for 1.25 – 1.5 hours. Turn the proofed loaves onto a semolina-sprinkled peel or parchment. Slash each one with a single cut parallel to the long axis of the batard. To get a nice ear, hold the blade at about a 30-degree angle to the surface of the loaf. Once the loaves are in the oven, turn the heat down to 450F. Bake for 12 minutes with steam, and another 14 – 18 minutes without steam. I leave the oven door cracked open a bit for the last 5 minutes of this time. The crust should be a deep brown. Then turn off the oven and leave the loaves in for 5 minutes longer, with the door ajar, to help them dry. Cool on a wire rack. Enjoy when completely cool. Ooooh!! 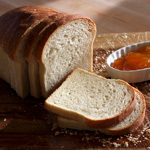 Remind me to make this bread at Thanksgiving and Christmas time! It looks like the perfect bread to serve with a creamy goat’s cheese. Clearly I’m going to have to revise my thoughts about fruit not really belonging in bread. This is indeed good with goat cheese, or any soft cheese such as brie, blue, or cream cheese. What a gorgeous loaf of bread! Beautiful crust and crumb. Yum! I’ll have to add this one to my list of things I need to try out (it’s a long list). Thanks Jen! 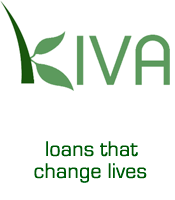 I hope you try it and let me know what you think. Your list sounds like mine. What a pretty loaf! Sour cherries and toasted pecans….divine combination!Have to try it soon! 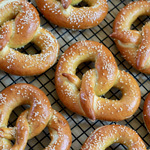 What exactly is the difference between white and regular whole wheat flour? Just the color? Your bread looks delicious! It comes on my to-bake-list. White wheat is a type of wheat whose bran is missing some of the the pigments that give red wheat its color. These pigments are also somewhat bitter in flavor, so white whole wheat flour has a milder, nuttier flavor than that made from red wheat. It is my understanding that the white flour still has all of the nutritional benefits of red whole wheat flour. Terry, thank you for your very kind comment. I’m glad you are baking even though you’ve not had time for much posting. I do hope you can actively participate in The Fresh Loaf again soon, though, as I’ve always enjoyed your posts as well. Susan I really like your blog! 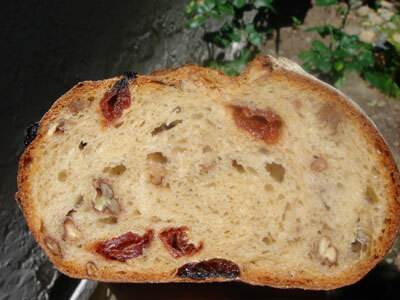 And Your cherry-pecan bread I will try very soon! 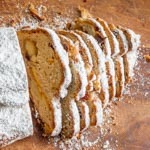 Bakinghistory, thanks for visiting! I hope you like the bread when you try it. I’ll reiterate what i said of tfl- gorgeous! I tried to make this bread a couple days, and all was going well until I put it in my oven. I just moved and wasn’t used to my oven, was being a little less than attentive and burned the crap out of it, haha. I tasted the crumb on my way to garbage can, it was delicous and I’ll definitely try again. Ben, sorry about your oven mishap. I hope the second time around turns out better — good luck. 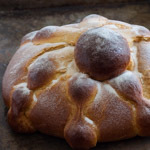 A late post about this bread, and your breads in general…wouldn’t it be nice to know that a professional whom you went to for medical care also created breads like these so mindfully? That would be a bonus in my book. Beatiful work, Susan! Sue, those are very kind words; thank you so much! Tried this bread today and overproofed it a bit before baking. Still turned out great. I really enjoy your blog and the way you format and write your recipes. I had a bit of trouble slashing through the big cherries and did not get that nice ear you show in the picture. Do you use a lame or a knife? Thanks again for sharing all your knowledge and baking experience. Darryl, I use a lame for slashing but a knife works also. To get a nice ear, make sure you slash at angle (about 30 degrees to the surface of the loaf), steam the oven, and do not overproof the bread. If there are any cherries or nuts on the surface you can pick them off before slashing, but the ones just under the surface may still get in the way of the blade. I’m glad your bread turn out great. Thanks for reading! 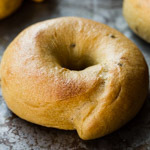 Hi there, does the bread bake directly on the preheated stone? At which level should the stone be at? The floor of the oven, the lowest rack or other? thanks.